Dr. Cory W. Gold is a principled Doctor of Chiropractic with a diverse educational background. He holds a Doctorate degree in Chiropractic. He attended Stony Brook University and New York Chiropractic College. Dr. Gold has taken many post-graduate courses in Applied Spinal Biomechanics & Evaluation, Diagnostic Imaging and Nutritional Counseling at New York University School of Medicine. 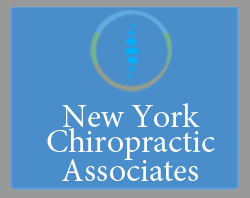 Dr. Gold is the Chief Adjusting Officer (CAO) at New York Chiropractic Associates. He has been in private practice for over 35 years. His background in Spinal Care and Applied Spinal Biomechanics creates a unique insight into many problems. His practice has a primary focus in two areas;(1) Structural spinal evaluation and the conservative management of spinal imbalances such as scoliosis and spinal subluxations. (2) Spinal Hygiene and Wellness care consisting of Therapeutic Exercises and Neuromuscular Re-education to maintain spinal balance. Dr. Gold's past and present affiliations include being on staff at New York University Health Center, member of the American College of Sports Physicians, member of the NYC Department of Health & Mental Hygiene Medical Reserve Corps, American Chiropractic Association.